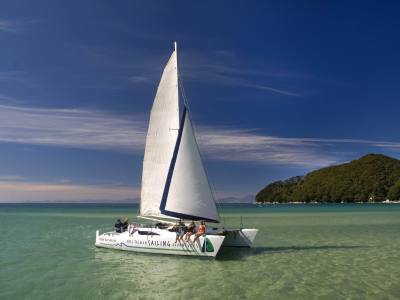 Explore the beauty and sights of the Abel Tasman National Park and Nelson Bays on a comfortable sailing catamaran. 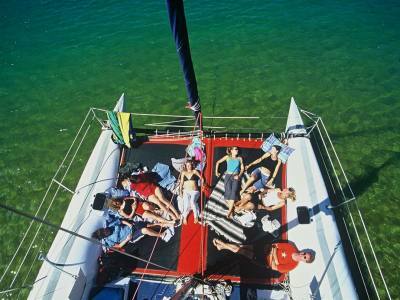 Join with others or enjoy a private tour, whether for a few hours sailing or a multiday holiday. 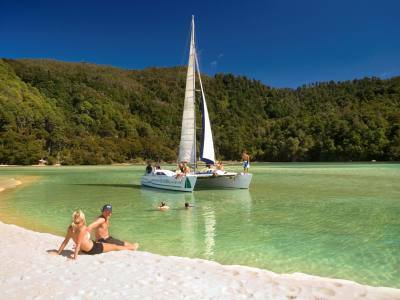 Treat yourself to the only scheduled Full Day sailing tour in New Zealand's coastal paradise - the Abel Tasman National Park! 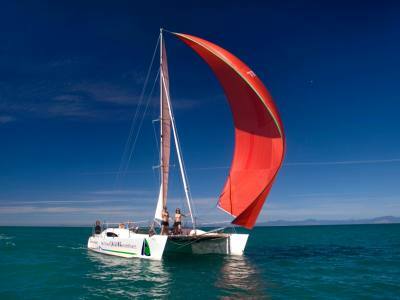 Plan your sailing holiday just the way you want it, on board classic sailing catamaran Jamarh. Choose from 1 night, 2 nights or longer if you wish. Relax knowing your Abel Tasman experience is taken care of. Ideal for those special occasions, family gatherings or small groups. 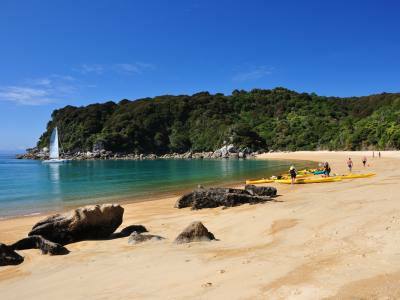 Sit back, relax & cruise the Abel Tasman National Park's coastline before walking one of NZ's Great Walks, all in one day. Whether you are out for a special occasion, celebration or wish to influence your guests or clients, let us host you. 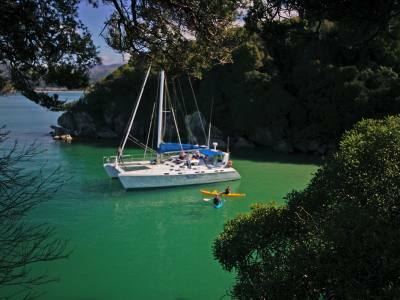 Experience New Zealand in true local fashion, a unique live-aboard holiday spent sailing the stunning coastline of the Abel Tasman National Park. 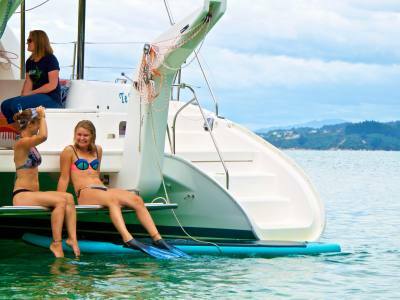 The luxury and spacious catamaran Te Harinui is your home away from home. Anchorage Yacht Stay. 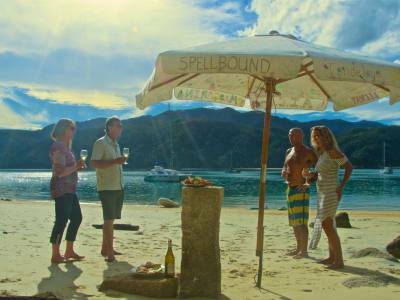 The Abel Tasman National Park's best beachfront accommodation. 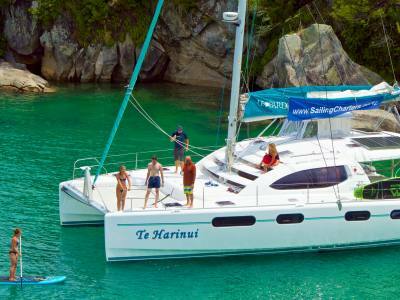 An overnight stay on board Luxury catamaran Te Harinui. Meals included. From Primary & Tertiary schools, International English programs, exchanges, to corporate and team building groups, we are happy to discuss your focus and pesonalise an itinerary to suit your groups needs. No need to be stuck for choice. 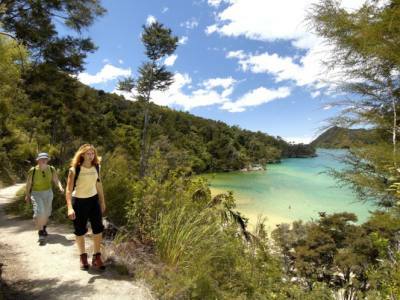 Do it all in one day & see the Abel Tasman National Park from more than one perspective. A relaxing private transfer to or from Awaroa Lodge and a chance to explore the Northern end of the Abel Tasman National Park. 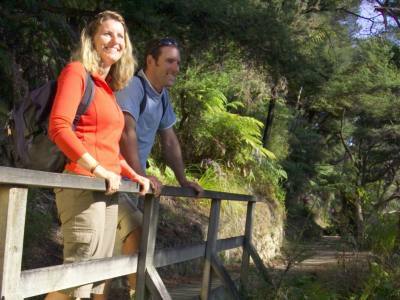 Enjoy a self-guided walk through lush native forest following the National Park coastal track. 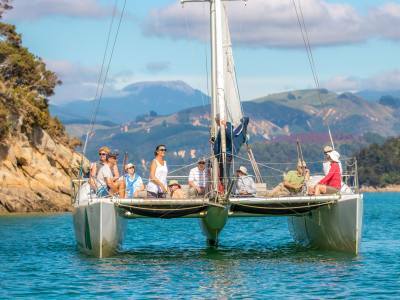 Sit back relax and take a scenic journey under sail from Anchorage to Kaiteriteri. A fun filled tour of the Nelson/Tasman region aboard one of the three available Sports Sailing Catamarans. Your scenic transfer from Awaroa to Kaiteriteri. 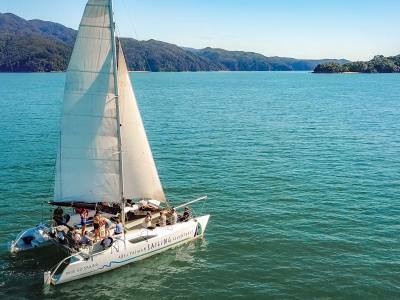 A great combination including a coastal walk, water taxi and afternoon sail, ensuring you make the most of your stay in the Abel Tasman National Park. A great option for those staying at Awaroa Lodge - make the most of the Abel Tasman National Park as you transfer from Kaiteriteri to Awaroa. Combine the joy of sailing with a leisurely water taxi allowing you to travel further North, a return trip in just one day. Enjoy a 3 hour afternoon sail & a short water taxi cruise. Spend more time ashore in the National Park, or choose to depart later in the day. The choice is yours. Join our scenic morning sail to Anchorage Beach and the return by water taxi. 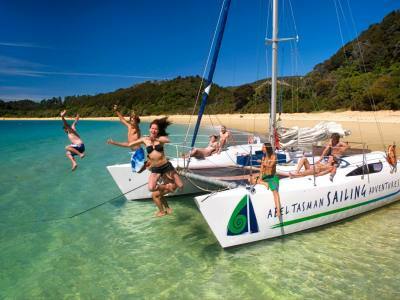 A great option if you're short on time, but want a great Abel Tasman experience. 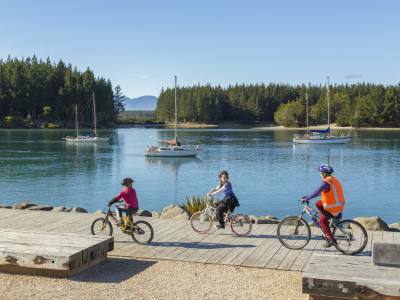 A Nelson must do, explore Tasman Bay & Mapua Seaside Village in just one day. 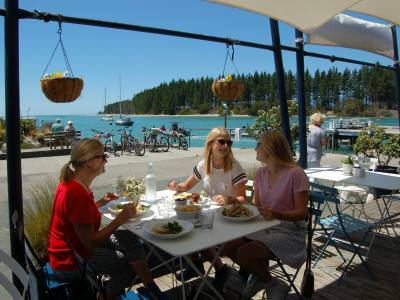 Cycle Nelson's Great Taste Trail, dine in Mapua, then sit back, relax & sail into Nelson Harbour. A chance to play Sailor and feel the wind in your hair. A trip the whole family will enjoy. Experience the thrill of sailing, see the sights & try your luck at fishing. A one of a kind tour, learning about Nelson's Historic Harbour, walking the Unique Boulder Bank & catching the views from the top of the Nelson Lighthouse. Enjoy the best beachfront accommodation option, sharing your yacht stay with up to 6 others. Dinner, breakfast & refreshments included. From $300 per person. 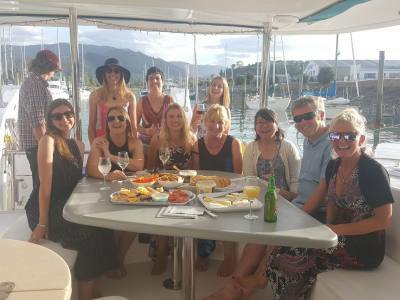 A special occasion, family gathering, work function, or live aboard holiday with the Abel Tasman National Park. 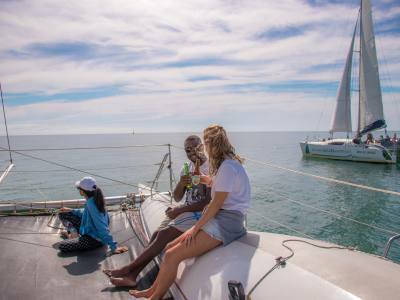 A private Sailing Tour is customised to suit your individual needs and with no set timetable you are free to make the most of the opportunities while on board. Whether for a few hours or a multiday holiday, our friendly and personal service creates great memories. Join one of our regular tours scheduled for the Abel Tasman National Park or Nelson Harbour. Enjoy the company of others as you explore the region. There are a variety of tours including a Full Day Sail or combine your sailing with walking, kayaking, water taxi or cycling.